Make sure your guests don’t hyperextend themselves with thirst at your next match! 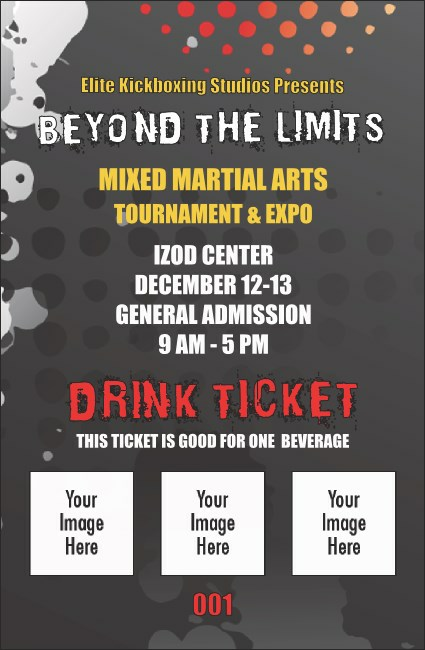 Print MMA Frontkick Drink Tickets for your next event, and keep the fans in the fight. Each ticket features room to upload three unique images on a black background with flashy red, yellow, and white text. Choose from a great variety of great MMA ticket templates at TicketPrinting.com.